Oeffelt is a village in the Dutch province of North Brabant, part of the Boxmeer municipality, about 5 km north of Boxmeer town and 6 km west of the border with the German state of North Rhine-Westphalia. Oeffelt was a separate municipality until 1994, when it became part of Boxmeer. The settlement Oeffelt was first mentioned in a document in 1075 as Uflo. This could be a combination from the Celtic words uffa (water) and ten (settlement), indicating a settlement by the Meuse river, which nowadays runs between Oeffelt on the west bank and Gennep – in the province of Limburg – on the east bank. The villages are connected by a bridge in the N264 road. 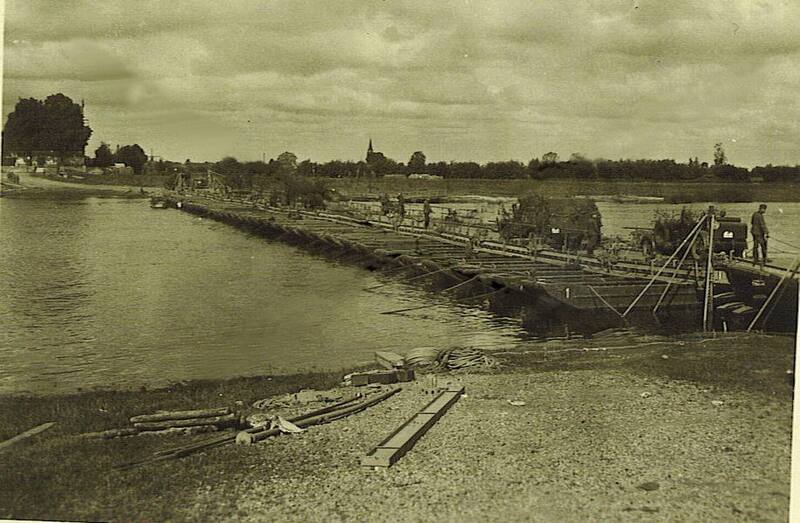 In the days of 1940, the Germans laid a pontoon bridge towards the Ferry House for the delivery of their troops to Holland, Belgium and France. In the autumn of 1944 the German army blew up the Maasbridge. For this reason, the English Royal Engineers introduced a well-traveled Bailey bridge between February and March 1945 between Oeffelt and Gennep. A handsome technique where Churchill and Montgomery took their own body height. 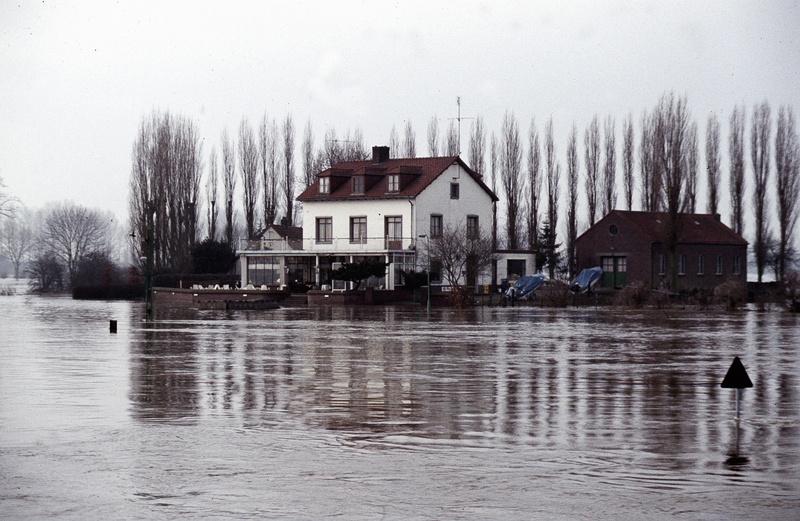 In the beginning of the 20th century (January 11, 2011), and around 1984 villages like Oeffelt, Boxmeer and Gennep were flooded, when the dikes of the river Meuse had a gape of 150 meters. This entry was posted in Documentation and tagged Limburg, Meuse, Oeffelt, Veerhuis - Oeffelt. Bookmark the permalink.